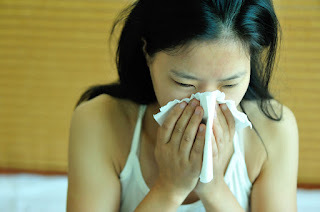 Cold is a disease caused by rhinoviruses and it is transmitted when mucous membrane positioned in nose or throat of one person comes into contact with another person’s saliva. This can easily happen when small quantity of saliva is ejected from mouth during conversation, coughing or sneezing. These molecules latch to mucous membrane of another individual who is close enough or they fall onto objects in vicinity. When another person touches those objects there is a chance to transmit them to his nose or mouth. Symptoms of common cold are runny and stuffy nose and sometimes watery eyes. It can even lead to headache. Common cold is one of the mildest diseases affecting men. It usually passes in next 2 to 4 days. Symptoms of this disease are similar to those of flu. In comparison to flu, cold can cause different problems in upper respiratory tract and these issues can subsequently affect entire organism resulting in increased temperature, fatigue, muscle pain, loss of appetite and some other conditions. Cold can easily be transmitted during winter months when there are many people residing in the same apartment or house. 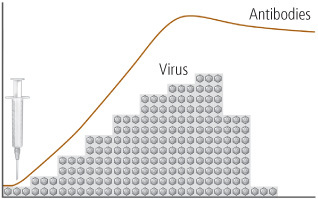 Also, viruses prefer cold weather. Like many other diseases, it is important to remain healthy and have solid immune system which can prevent any disease from affecting the body. We can differentiate two types of symptoms affecting people with cold. First group are symptoms that occur when there are no complications such as runny nose, stuffy nose, watery eyes and headache. Second group are symptoms affecting patient if he has some complication. These problems include temperature, increased secretion with sore throat, severe headache which may indicate sinus inflammation, severe ear pain which can indicate middle ear infection. Treatment of cold starts with prevention. If it is possible, person should avoid touching the face if his hands are not clean. Also, avoid direct contact face to face with people who are suffering from said disease. Ventilate the room as often as you can. Remove dust and do not use heating with ventilator. First and foremost, person should maintain high immunity, sleep and eat properly and if necessary, use supplements such as vitamins and minerals. In most of the cases, patient won’t have to use any type of medicine to relieve the symptoms. Cold usually disappears quickly, even before person can react. However, if the infected individual is a child, it is important to use nasal solutions. Babies usually breathe through nose. If they have cold, this can interfere with their feeding and sleep leading to various complications. Because of that, people should use medicines such as Rhinaris to resolve this issue. When person buys Rhinaris from You! Drugstore, he is able to treat symptoms of cold such as dry, stuffy, irritated nasal passages. It works by lubricating nose and washing away accumulated secretion. Medicine shouldn’t be used by pregnant women and people who are allergic to it. Usually, Rhinaris doesn’t produce any side effects. In rare cases, it can lead to stinging sensation.